On Thursday, December 6, 2018, the spirit of John Davis Peterson, known to many as “Pete,” departed our mortal realm. Preceded by his father, John Lafayette; mother, Doris; and brother, David. He is survived by his wife, Patricia; son, John Edward; daughter, Laura; son-in-law, Clint; grandchildren, Jackson and Avery; and cousins, Joe Davis, Bonnie Torricelli, Arthur Peterson, and Judy Hamilton. Born May 16, 1942, and raised in Meadville, Pennsylvania, John was an avid athlete competing in baseball and football throughout high school and at Allegheny College, where he received a Bachelor of Arts degree. As his youth gave way to wisdom, he additionally achieved a Master’s Degree from Troy State University and became an enthusiastic golfer. From an early age, he was fascinated by flight. 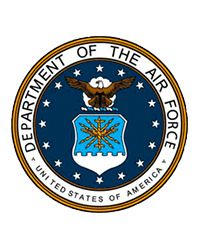 His pursuit of this passion led him to serve his country with distinction, through times of war and times of peace, as a decorated pilot for the United States Air Force and a three time recipient of the Distinguished Flying Cross. 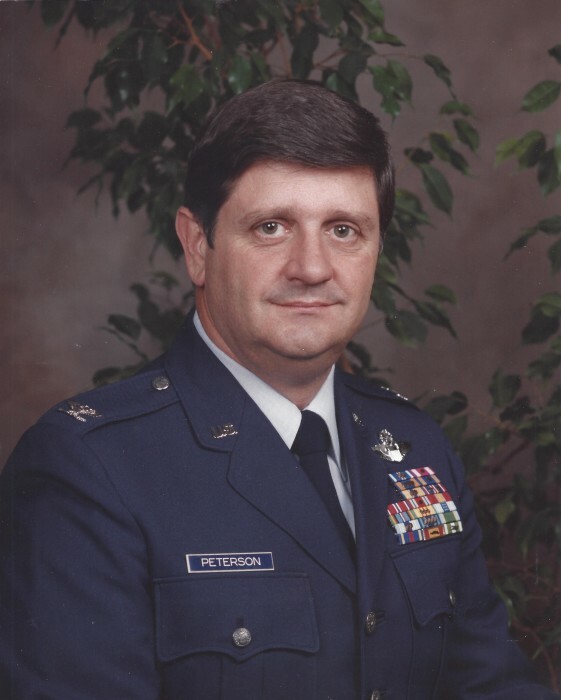 He served as an instructor pilot, flew missions in the Red River Valley of Vietnam, and eventually commanded the 62nd Tactical Reconnaissance Training Squadron at Bergstrom Air Force Base, Texas and the Blue Flag unit at Hurlburt Air Force Base, Florida. Many of his happiest moments were spent above the clouds, in the middle of the sky. Following his retirement from service, he founded the Taxpro accounting firm and dedicated himself to the community of family, friends, and church that surrounded him for the rest of his days. Whether you found him teaching Sunday School; serving needed meals with his wife, Pat, for Supper on Saturday; preparing for and teaching his class on the Founding Fathers, punishing a misbehaved putting iron; or recuperating from occasional illness, Pete could be counted upon to offer a cheerful greeting to others, regardless of his own disposition. He liked people. He loved his family, his country and his church. He will be missed. If you turn your eyes upward you might glimpse him there, where he loved to be. In the middle of the sky. A Celebration of Pete’s life will be held Tuesday, December 11, at Crosspoint UMC Niceville, at 2pm. Visitation with the family will precede the service at 1 pm. The family would like to extend thanks to all who touched his life in health and in sickness. You will be forever in our thoughts. In lieu of flowers, please consider a donation to the Crosspoint UMC Supper on Saturday Ministry, whose work was an important part of Pete’s life.